We all respect the preservation of history and respect for people who did great and courageous things. April 14 and 15 mark the 100th anniversary of the loss of Titanic. National Geographic channel has been running two specials--one hosted by James Cameron and one hosted by Robert Ballard--and they are outstanding. Both Ballard and Cameron has deep and abiding respect for Titanic and its resting place at the bottom of the Atlantic. Cameron's special includes a number of dedicated hsitorians and there is one scene when the main historian of the Titanic Historical Society talks about the pefume bottles given to the society. As he talks about those 100 year old bottles, he is moved to tears. Clearly, this is a man who not only respects the past but treasures it. If you get a chance, these specials appear to be available on Nat Geo all week. They are absolutely excellent. I was not so impressed by all of it. I have been working in my own small ways preserving liner history and exposing "problem sales" since 2001. I am not a "rivet counter" nor an expert. But, maybe someone can explain why the new J.C. sinking simulation that will be aired (or has been?) shows the #1 funnel falling to port when there is a clearly a section of #1 funnel steam whistle jammed into the starboard aft forecastle deck railing? Lightoller saw and said it fell to Port, part of it is stull stick there. I know what the Baker said in his testimony, but now the stern almost capsizes to port - so extreme? The A deck windows on the simulated bow wreck section aft of the #2 funnel just arent there, etc. Titanic was not a bannana and did not behave like on. The break point was moved way forward of where it was claimed before - but WHY? Ballard says "look, but don't touch" - where'd he get that amphorae? He landed on Titanic's deck too, remember. He is also against salvage strongly - but then why did he ask the Smithsonian in the early days if they would exhibit artifcts he could or would raise? Was his expedition not the among the first or the very first to "bump into something" and accidentaly bring up bits of the ship that were "immeditely washed overboard"? Now he wants to paint the wreck and has applied for a permit to do so - that is as intrusive and disruptive to the site as anything I have heard since 1985 (apart from the truly insane proposals...but that line blurs...). I am only going by what I have seen on Nat Geo and what I have read over the years. I am unfamiliar with what you have written. In any event, PBS aired an astounding special tonight. "Saving The Titanic" was devoted to the men below decks who worked on keeping the ship afloat as long as possible and keeping the electrical system functioning so that the pumps, lights and wireless would operate. I realize that Titanic does not really fit into this site devoted to worlds fairs, but I am moved by the fact that we are quickly approaching the 100th anniversary of a pivotal moment in 20th Century history. I apologize if this is not the proper place to share thoughts on this topic. No no!! I believe this is an inclusive board - your topic is most welcome, just from a history viewpoint. And off topic ? No way - among the most impressive 1939 structures was the Marine Transportation Building with its blue double prows, cowl vent exterior lights and mosaic mural. I made a liner related post too - probably bored folks to death with talk of pilasters and mahogany. I should and will apologize for sounding off so stringly. NONE of it was directed at you Jim, I trust you know. This month has been crazy - every manner of forgery down to toilet paper supposedly taken from Harland and Wolffm where she was built. I have seen a fragment of common rust (not Titanic) for $55,000...From the numbers, 705 survivors, one could calculate each person left the shipiwith 23 items in thoer pockets. Of course, first thing I do on a sinking ship with impending death looming is grab a table and a few plates of each pattern and stationary...A paintchip from a lifeboat that was never exhibited (because it doesn't exist) at $10,000 (free shipping). Anway, its all good I am sorry if I offended ot made you feel you posted something out of order. NOT my intention. I was sounding off to friends, be my actions good or bad thats all I was doing. And, of course, that simulation and Big Bob have touched a nerve - the one you mentioned about respect and reverence. 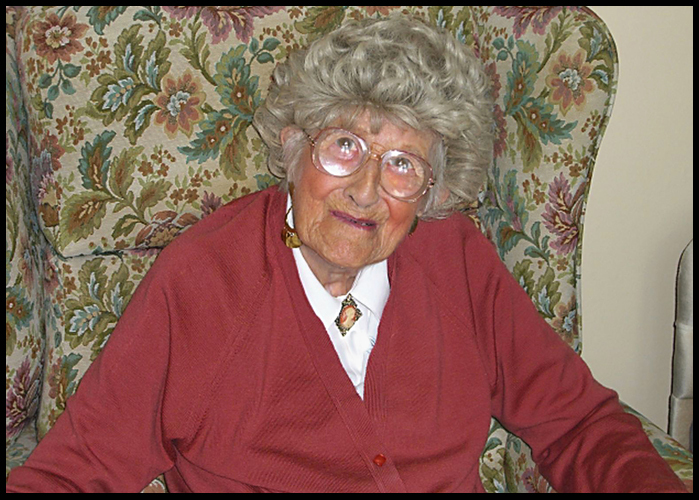 Miss Millvina Dean (2 February 1912 - 31 May 2009 - anniversary of launch), taken the day she signed my photograph, last week of September, 2008. Oh, Eric--not at all! I did not feel offended by you in any way. I always enjoy your posts because I, too, am fascinated by the 1939 NYWF and I am impressed by your photographs and your knowledge of that great fair. I also know that you have a love of great 20th Century passenger liners and know a great deal about them. I've always been interested in Titanic because I think it really was the end of an era and certainly the end of the Edwardian confidence in the invincibility of wealthy men and giant machines and the certainty of western civilization. Titanic was a microcosm of western society in 1912 and the events that played out on that ship on April 14-15 "jarred two hemispheres" as Thomas Hardy writes in "Convergence of the Twain." It is also interesting to remember that Titanic was only the beginning. Just three years later, Lusitania was torpedoed and over 2,000 died and then those insane battles (The Somme, The Marne, Verdun, Gallipoli, Vimy Ridge, Chateau Thierry....) with hundreds of thousands of lives wasted for nothing--all that shattered whatever was left of Edwardian certainty. I am so impressed that you have an autograph of a Titanic survivor! Obviously, she was a baby and I recognize her name. How many babies were saved that night--do you know? I live near Cooperstown, NY. Oddly, one Titanic victim (Albert Reyerson--I think it is Albert) is buried there (his body washed ashore somewhere in Newfoundland). Also, his sister, who survived the sinking, is buried there. She died in 1939. They were returning from a trip to Europe upon hearing a family member (a brother, I think) had been killed in an automobile accident. Amazing stuff. While there is a marker or memorial in Ciiperstown http://www.encyclope...memorial-6.html, local myth strikes again - Mr. Ryerson's body was never identified, recovered or interred as such. There is, despite what certain museums will insist, not a single authentic item that was "washed ahore" in Haifax, Nova Scotia - Nefoundland, yes. It follows the current path. 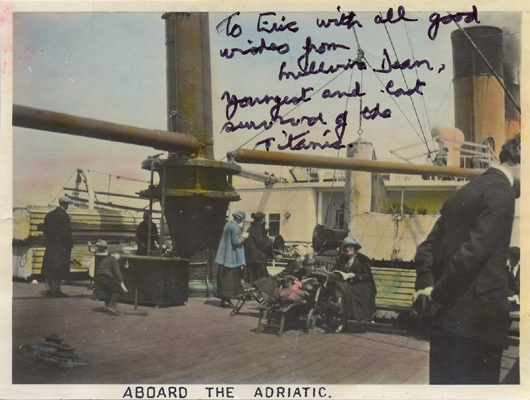 From ET (a site I belong and have contributed Mauretania informaton to): "Mr Arthur Larned Ryerson, 61, from Haverford, PA, USA boarded the Titanic at Cherbourg (ticket number 17608, price £262 7s 6d, Cabin B57/63/66) with his wife Mrs Emily Ryerson and their children Emily Borie Ryerson, John Borie Ryerson and Suzette Parker Ryerson. Their eventual destination was Cooperstown, NY. Mrs Ryerson also brought her maid Miss Victorine Chaudanson." It gets really interesting here: "Unknown to Arthur was the presence on the Titanic of a distant (4th) cousin. William Edwy Ryseron worked as a steward in the dining saloon." "Arthur Ryerson was lost in the sinking, his body, if recovered, was never identified." It would have been buried at sea by one of the recovery ships, along with over 300 others. It was his wife Emily who died in 1939 and is buried in Lakewood, Cooperstown along with the Governess Miss Bowen (ticket number 17608, d.1945) and daughter Susan "Suzette" (d. 1921) and son John (d. 1986). Daughter Emily's burial location is unknown (d. 1960). MIss Chanderson (d.1962) and is buried in Pennsylvania. All those saved were in Boat 4, which contained only 36 peope and was lowered berween 1:47 and 1:52 (LATE indeed). It was one of four boats later tied together by Officer Lowe for passenger transfer. 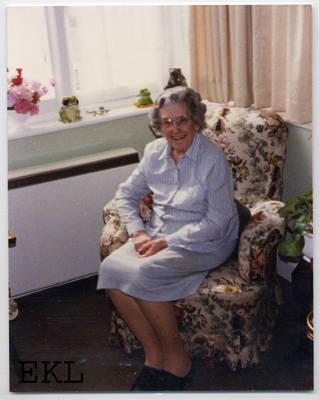 Miss Eva Hart (January 31, 1905 - February 14, 1996), signed photo, August 1988. I'd heard the MS Balmoral was planning a westward voyage retracing the Titanic's route, and now I see the MV Journey is sailing eastward to the spot of the sinking for a memorial. I seriously hope they do not bump into each other. The passengers on the Balmoral were photographed in Titanic era dress. I assume all participants' motives are respectful but boy that kinda gives me the creeps. Miss Eva Hart is interviewed in the IMAX film, Titanica. She remembers that night very well (I would guess she was aboiut six or so). She recalls that her father had given her a large teddy bear and she left it in the stateroom when she and her mother climbed into the lifeboat. She said she never wanted another one. I have seen her in other interviews as well and her memories of that night were always crisp and clear. As for the memorial cruise, I am not certain what to make of it either. I understand there are two: One leaving from Southampton and one leaving from Halifax, I think. The former had to reverse course yesterday because a passenger had heart trouble and they returned to a distance where a helicopter could fly from Ireland to rescue the man. I do not know if the cruise will be completed or not. And you are correct, Eric, it is Arthur Reyerson. He does have a memorial marker in Cooperstown, however, and an article in the Syracuse Post Standard some years ago told the story. It must be that Emily, his wife, was also buried there in 1939 when she died. The New York Historical Association (a private historical society in Cooperstown connected with the Farner's Museum) has opened a Titanic exhibition. Evidently, Arthur Reyerson and family were, indeed, racing home for Arthur Jr.'s funeral scheduled for April 19. He was on break from Yale and killed in an automobile accident. Arthur Sr. insisted that his younger son, John, be allowed in a lifeboat when a crew member balked at the boy climbing into the boat. Arthur pointed out the boy was "only thirteen" and he was allowed in. Then the crew member shouted "no more boys". The news article states that Mr. Reyerson made it clear that the was not about to have another son die. The Reyerson family were great patrons of Cooperstown and I believe they helped establish the Otsego Country Club on Otsego Lake (Glimmerglass). Arthur Reyerson is memorialized there. I found this info in The Cooperstown Crier (no kidding), the local newspaper. It also states that John Reyerson helped Walter Lord with A Night To Remember but would otherwise never discuss Titanic or that night. TCM will air A Night To Remember at 10 PM EDT on April 14. I clicked on that Titanic link you offered and the info is interesting. It always surprises me when it is called SS Titanic rather than RMS Titanic. How could someone put that on a plaque? Whatever else we remember as we look back 100 years, there were remarkable displays of dignity and courage that terrible night. Hello all. Never know what you will find on the PTU site. Interesting discussion here. Been a Titanic follower since I read Walter Lord's book "A Night to Remember" back in 1968. I watched the part 2 portion of the History Channel show where they did the virtual recreation of the wreck. Never ceases to intrigue me. I had the chance to speak to a woman in Halifax today. She shared stories about the Titanic commemorations which have taken place over the past few days leading up to April 15, the 100th anniversary. She attended services in Fairview Cemetery when the largest number of recovered bodies are buried and she said there were also commemorations at Mt. Olivet, a Roman Catholic cemetery, where other victims are buried. She said it was a very emotional few days in Halifax. I have been getting several emails "feeds" from the cruises. A mix of somber and bizarre. One cruise was noted for a 10 yo passenger who stalked the deck everyday dressed as Captain Smith with fake beard and all. Tonight was the 18TH. A century since Rostron's Carpathia dropped off Titanic's boats at the WSL Pier and then went back to 54 to discharge Titanic's survivors. If you watch the cameron film, they showed the Statue heading the wrong direction and post torch-restroration too. And the vantage is one Carpathia could never be at that depth without grounding! I thought you guys might enjoy this. I did this with the new WHOI imagery. I was trying to peel back some rust and years - maybe in 1985, but now now. I took much license - those familar with the wreck will see many omissions and errors. Look for not one but two great ladies. Enjoy. Colors on hull ok (looking red here) but strong, bottom way to green. It would be 100 years ago today that J. Bruce Ismay was subpoened to testify at a Senate hearing (held in NYC) about what happened. His reputation and honor were ruined by his actions. The next day Charles Lightoller testified and the world got a glimpse of a true yet humble hero. He lived the rest of his life with real dignity. He even captained a ship which helped rescue British troops from Dunkirk in 1940. I don't mean to confuse people either - I just read some other threads where I started talking about things you guys likely are not familar with. I get MYSELF confused when writing posts thinking everyone knows what I am saying when I really can't express myself well and get the "audiences" (my friends) mixed up. :( Thanks for putting up with me everyone. Many of you kn - I have posted about my health these last yearts. I don't recognize my own old posts anymore. It is hard to sing a song properly when the lyrics seem new and the music is Fairly unrecognizable. Like Norman Thayer said "It's all new to me". I am having a heck of a time just hitting the right keys (on the keyboard). I used to be a pretty big Titanic buff. I read "A Night To Remember" when I was nine and I got hooked. When the wreck was found in 85 it was one of the most exciting times of my life and I still have the news coverage of those first reports that I taped (some of which looks really laughable with hindsight given how Ballard misinterpreted a lot of the initial images). There was a time when I was heavily involved in Titanic discussion groups but those days came to an end sadly because of the very horrible attitude I discovered among a good many people in them that often made good discussion possible. One thing that I've enjoyed so much about this place over the years, even as my participation at times comes and goes, is that never once has there been an unfriendly word or a clash of egos or a difference of opinion that wasn't said in a friendly manner. It's always been "peace through understanding" in the truest sense! When I got a new computer last month giving me Windows 8 for the first time, I made sure to buy a new piece of software that allows me to keep playing the old "Ttitanic: Adventure Out Of Time" game from the late 90s. Primitive as it is, it's still a fascinating way to "tour" the ship. Maybe someday we'll get something like that for the Fair itself! Please post away! The 39 NYWF is more vivid in my mind thanks to your color photos and commentary. I enjoy reading your unique insights and learn much from your depth of knowledge on any subject beyond Fairs. And do let us know how your health is fairing. Hello This started as a short post. I swear. In the Titanic world, things have been quiet apart from watching the non-progress of Titanic 2. 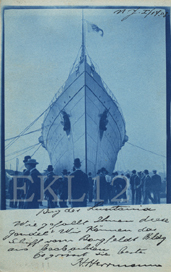 The notable and sad event this year was the death of the President and one of the founders of the Titanic Hisrorical Society, Ed Kamuda, on April 14 - the anniversary of the iceberg collision. WF dealer and ocean liner dealer Kenny Schultz also died on April 14, some 6 years ago. In a year we will have 100 years for the Lusitania. Right now is 100 years for the Empress of Ireland, on which more people died than Titanic (1,012). The date was May 29, 1914. I was thinking of designing a t-shirt so everyone could find each other this Tuesday, but as I just created the idea to write in this sentence - it would be short notice for all. PS - edit to add - let me post an unpublished photo for you! It is color AND b/w and dead-on-topic. I can't recall where I saw it but there was a scale model of this pier system at the 1940 NYWF - must have been in the 1939 version too, but it was a 1940 photo I saw the model in (this is seperate from the Southampton animated diorama that still exists). Yeah, a 1940 press photo, so inside the Hall of Communications (revamped 1940 version). EDIT TO ADD: as a 1940 press photo of an interior it has a good chance of being released pre-40 season, so perahaps the 1939 Marine Transport Building after all. The Cunard liners Mauretania and Carpathia, Titanic's rescue ship, in NY's brand new Chelsea Piers complex, 1910. Titanic was essentially the same size as Mauretania for the purpose of this sentence, just under 100 feet longer - so you can get some idea of the size relation between the lost ship and the "little" one that found her survivors ( a GREAT ship with superb commander in 1912 who later commanded...Mauretania - Carpathis was sunk in 1918/WW1). The Carpathia is at here shown Pier 54 - where she would drop the Titanic survivors about a year and a half later. No, she dropped only the lifeboats? Or were the lifeboats dropped at- all I remember is Carpathia stopped somewhere first, probably to protect the passngers. Anyone know? Anyway, The Chelsea Piers were started in 1907, with Lusitania being the first in. The complex was finished in 1910 and opened February 20th. Hard to imagine, even if you saw it in the 90's before demoltion, but it was once a beautiful pink granite-faced Bauhaus stucture, stretching all the way to Pier 61. Some of it still stands, and some of it has been broken up and the chunkcs of stone serve as sort of garden displays if you go past the bicycle path into those little garden parks along West Side Highway near the piers. A century of city air, soot and whatever else has obscured the pink, but ifd you look real close with the right eyes, you can see it. Just like the remaining pier archway - look and you still see "Cunard" and "Cunard-White Star" - just like you used to be able to make out the old words on the QM from 1939. I assume they are gone now? Always love your ocean liner posts!!! And that photo of the Mauretania and Carpathia is simply awesome! My interest in the Titanic started when I read about it in a history book in 3rd grade. James Cameron's movie came out the following year and Titanic hype was everywhere. I checked out every book in the library I could find about the Titanic, which wasn't many in elementary school, haha. Around that time, my aunt bought me my first hardcover, gorgeous Titanic book. I read and looked at the pictures in that book so much as a kid. I was hooked. I have mixed feelings about the artifacts taken from the wreck site. I don't mind the items taken up from the debris field, but I do object to the items that were attached to the ship and then ripped off, aka, the foremast light. I hate when salvagers pick an item they "want" and actually remove it from the wreck where it would otherwise still be attached to. That being said, I have attended 3 Titanic artifact exhibits (Hartford, Foxwoods Casino and NYC) because I couldn't pass up the opportunity to see items I'd always seen in books growing up. To see artifacts that belonged to passengers was incredible.... for example, reading Lawrence Beesley's account of the sinking and his mention of the other half of his pursers ticket having gone down with the ship. To see that half of his ticket in person was amazing. Another passenger sold perfume and that entire kit was recovered..... the display had holes in the glass and you could still smell the perfume after all those years underwater. The items from the ship I'll never forget are a complete set of whistles from the funnels, an engine room telegraph, and a lifeboat davit. The whistles were beautiful.... and enormous! I couldn't stop looking at them. I've always been fascinated with ship telegraphs, I don't know why.....so seeing one from Titanic was incredible. And the lifeboat davit left me speechless. It was standing upright, a few feet away on the floor. Standing there looking up at it was surreal. All I could imagine was the passengers that stared at the exact davit and wondering if they were scared to enter the lifeboats or maybe those that never got the chance. That davit played a role in saving lives that night, no doubt. And it helped give a perspective to the size of that ship. You always see those davits in photos from the Titanic and now I know how huge they were! My interest in the Titanic is also what started my love of all the great old ocean liners. I've got more books than I can count about ocean liners, many found at my favorite local antique store, along with quite a collection of ocean liner postcards. Titanic is in a category all of her own, simply because of how fascinated I am on the topic and how it began my interest in other liners. Separately, my favorite liners are: Olympic, SS United States, Mauretania, QM. I'll try to remember to scan my favorite pieces of ocean liner memorabilia, my favorite being one of the green floor tiles from Olympic! It took me years to find & save up for a nice one, but I love it! I also have a music program from the Carpathia, I believe pre-Titanic.... a great antique store find! Take care and thanks for your great conversation on a topic so fascinating! My interest started about the same age - I recall when Walter Lord's illustrated Night to Remember came out. My interest must predate 1976. I also have mixed feeling re salvage...none of which stopped me from attempting to lift a davit in Atlantic City when the Big Piece was on display outside the Golden Nugget in a tent on the boardwalk. The exhibit, third floor as I recall at the Nugget, was very well presented - best I have seen. Very solemn. The davit you mentioned...was at that time allowed to he handled. It was in the room with the large wreck model - HUGE wreck model. My friends were afraid to even go neat it let alone touch it. It was obvious they wanted you to - is was mounted horizontally and stuck was out where the observers would be. No red rope - nothing. "I dunno, you think you can touch it"? "HMM? Touch it? I am going to try and lift it!" - and I did, with all my strength. Never, never in my wildest dreams would I have my arms wrapped truly tightly around a Titanic lifboat davit - but - I did. Salvage - I actually own a small bit of the Lusitania wreck - 99 years ago yesterday she was torpedoed. You mentioned the NYC exhibit - I have seen a few but if you mean the one in the Dicovery or wharever - the basement of the Times is it? I thought that was a terrible presentation. The archival photographs were never near the objects themsleves. Mislabelled stuff - well...I recall the perfume and all - paper and so on from the valise. Incredible. The bowler hat...I am sure you took the opportunity to touch the section of hull they had in the case with the holes? You have good taste re the liners you mentioned. I would add Normandie. I would love to see your postcards! I have been selling off everything post-war and focussing on 1906-1919. I posted a handmade two-sided stereo 1906 albumen construction photo I just bought a while back in one of the recent threads. Floor tiles from Olympic - I probably know who you bought them from or the source. It is a small world. The better condition green tiles are beautiful - post it!!! Hey, Eric, have anything on the ill-fated Gustloff or Steuben? Reportedly the greatest maritime disasters ever. No, I do not have anything from either of those. They were indeed the very worst - about 3,000 on the Steuben and about 9,400 or so on the Gusloff (perhaps 5,000 of which were children) :( for scale, the Gustloff was just about 100 feet shorter than Lusitania and about 200 feet shorter than Titanic. As far as peacetime sinkings, the 1984 loss of the Phillipino ferry Dona Paz ranks up there with almost 4,400. Eric, I just found you post from a month or so ago. I totally agree with you. 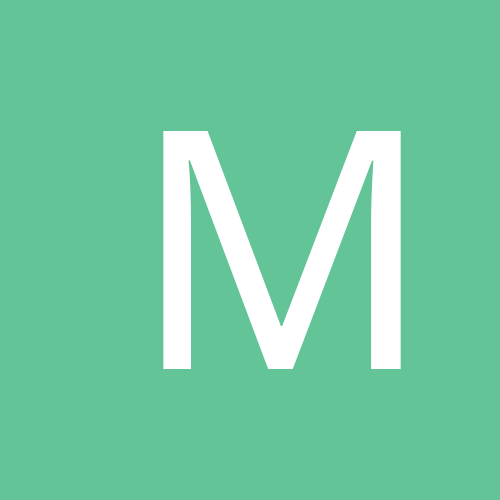 This has to be the friendliest and most respectful website I have ever found. There seems to be so much mutual respect among the posters and everyone brings his or her special interests and ideas to the site. We all love history and world's fairs, in particular, so it is always a joy to visit this site and it always seems to offer new insights and discoveries. It is all so positive. Yes, this is a special place. The other rooms I frequent, collector driven craziness with true 1%'ers, (I dunno, some spend millions (like 10) on a single item more than once a year - that has gotta be 1%, no?) are getting very snippety and folks are leaving, the old timers, but I am staying. It is true younger folks are coming in and not receptive to listening or learning but just want to spend and will pay "tuition" as a result, and they seem willing when they could just read and search old threads. Yes, here we respect and appreciate (or I try anyway); in those places it is either a love-in, or they crucify you. Not so here. In other news, I have found some special prints I will go post about in the recent Transportaion thread!!!! The subject of the Titanic is meaningful to me as well. In the seventies I was a member of the Titanic Historical Society. Due to a schedule difficulty I missed an opportunity to attend their convention in Boston, thereby missing a chance to see some real survivors. Of course I built a plastic model of the great ship back then. In 2015 I was in Liverpool, where the White Star Line HQ was located, and saw the Harland and Wolff plant in Belfast, where Titanic was built. But most movingly, in 2016 I stood at the grave site of the victims that were brought to Halifax, Nova Scotia for burial. It was an emotional moment that I lovingly recorded and featured in my travel DVD for that year, along with appropriate music. An addition. A pocket watch case made from walnut from the first Mauretania (1906, fastest liner until 1929) crafted in 1935, after scrapping, likely at Hughes Bolckow by an older man, perhaps injured in the yards and now making souvenirs. Not uncommon. A glass "window", cracked (not seen here) which only adds to the presentation of the interior contents in my opinion. 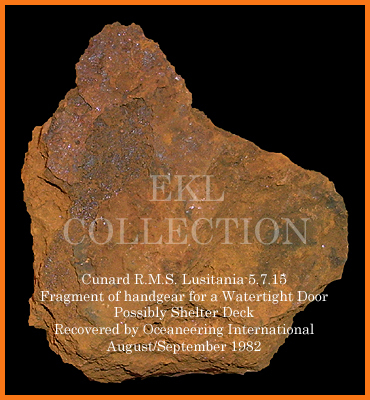 And inside, a fragment of the hull of Lusitania, shelter deck likely, part of a water tight door hand-gear, recovered in 1982 by Oceaneering International. Full papers, documentation & provenance.